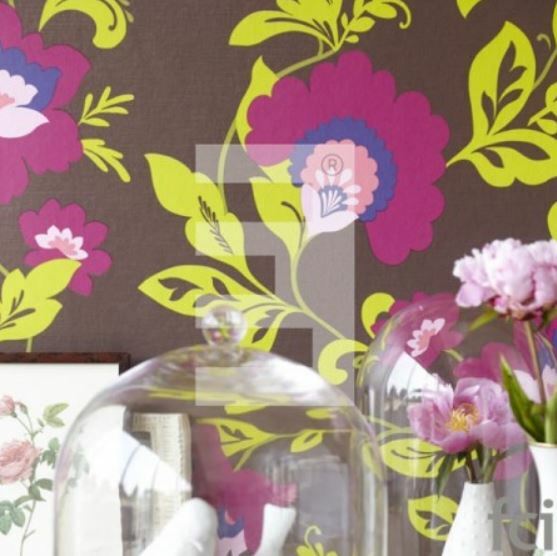 Sun is a rarity in the UK, but that doesn’t stop us staying sunny indoors. Exotic designs patterned with large-fronded ferns, and quirky wallpapers full of big cats, crocodiles and mischievous monkeys, this time of year it’s all about the tropics – perfect for those looking for some exotic escapism. The bright cobalt blue is vibrant and almost luminous and worked so well as an accent colour last season that its stuck in to this season. Like denim, Cobalt is an easy colour to combine with so many other shades and materials, from whites and pinks to terracotta, rattan and cork – materials that are also making a comeback. This Camo Rug by Vondom fits perfectly into this trend. 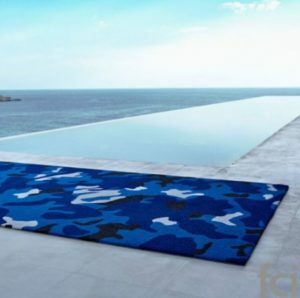 Camo is short for camouflage, which is why the rug was initially designed to make it blend in wherever it is placed. But the new liquid pattern now creates the conflicting effect, standing out starkly against its surroundings. It adds an element of contradiction where it is needed. It is made of soft and UV-resistant polyethylene fibres and available in different colours.